Duofold an emblem of Parkers heritage. Duofold remains the most distinguished pen in Parkers discerning lineage. Driven by a commitment to superior craftsmanship, every detail of Duofold is carefully thought out and executed. From the emblematic design of the ace emblazoned 18-carat solid gold nib to the precious metal finishes, each piece is meticulously brought together by hand to ensure the finest writing experience. The material for the check Duofolds was produced at Carville using their diffusion bonding technique, whitch allows layers of plastic material to be joined without the use of solvents or adhesives. 18K solid gold nib for the ultimate experience in writing comfort and high precision lines, and hand assembled to ensure flawless quality. Stamped with 18K-750 solid gold and goldsmith\'s hallmarks. Your Parker writing instrument is guaranteed for two years from the date of original purchase against defects in materials or workmanship. 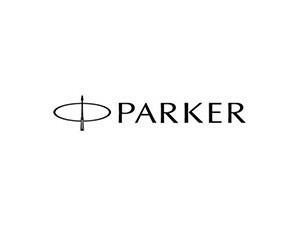 If found to be defective within the warranty period, your Parker product will be repaired or replaced free of charge.